The Magnitsky sanctions proposed in Canada’s Senate provide an opportunity to push for an end to Tehran's human rights violations, writes Kaveh Shahrooz. While its language is largely consistent with an earlier opposition motion adopted in the House of Commons in June 2018 (with the surprise backing of the Trudeau Liberals), the new motion’s call for the application of Magnitsky sanctions is novel. Magnitsky laws — recently adopted by a number of Western countries and named after a Russian lawyer killed by Vladimir Putin’s government — are designed to sanction foreign officials implicated in widespread corruption and human rights abuses. Once subject to Magnitsky sanctions, the assets of the listed official are frozen and the person is barred from travelling to the sanctioning jurisdiction. Such sanctions are narrowly tailored and avoid the harmful collateral damage caused by more comprehensive sanctions on regimes. Autocrats and rights violators recognize the threat posed by these sanctions. Much like the reaction it prompted among Putin and his loyalists in Russia, the prospect of Magnitsky sanctions directed at Iranian government officials has caused the Iranian regime and its supporters to lash out at a variety of targets. 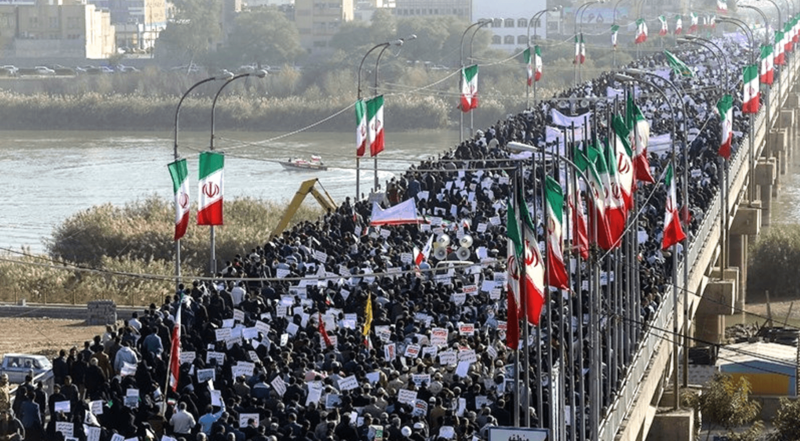 The case for imposing human rights sanctions on Iranian officials is surprisingly easy, having been made repeatedly by Iranian activists over the years. It starts with acknowledging that past sanctions imposed on Iran have focused almost exclusively on Iran’s nuclear program. Critical as such efforts have been, they have overlooked the fact that the primary victims of Iran’s government are its people. Iran has one of the worst human rights records in the world and its officials’ heretofore impunity must be rectified. As recognized by Canada’s parliament in 2013, Iran’s government is guilty of crimes against humanity (crimes which Amnesty International believes are ongoing). It has continuously targeted journalists. It has arrested and murdered environmentalists, including Iranian-Canadian professor Kavous Seyed-Emami. It has repressed religious minorities, particularly members of the Baha’i faith. It arrests women’s rights activists as well as labour unionists, torturing some “to the verge of death.” And as a symbol of its utter disregard for the rule of law, Iran’s government continues to arrest defence lawyers who dare to represent dissidents. The list of Iranian officials responsible for these crimes is long. But a good place to start would be the report recently compiled by the Raoul Wallenberg Centre for Human Rights, which lays out a solid case for sanctioning 19 Iranian officials who have played a role in everything from carrying out mass murder to suppressing free speech. Despite the clear case for such sanctions, some senators may still be hesitant to support the motion. Last year, a somewhat similar bill introduced in the Senate was rejected by all of Canada’s independent (i.e., formerly Liberal) senators. But the new motion deftly works around many of the objections previously raised by the senators — specifically, that the bill prevented engagement and restricted Canada’s ability to respond to incremental improvements in Iran’s human rights record. The Magnitsky sanctions are a more nuanced instrument, allowing Canada to calibrate its pressure on Iran. The motion also does not stand in the way of any fruitful engagement with Iran, provided that such engagement does not include those implicated in mass crimes. In addition, the “name and shame” approach of the Magnitsky sanctions is completely consistent with the existing Canadian policy of naming and shaming Iran at the UN General Assembly through an annual human rights resolution. Iran’s human rights activists, at home and in the diaspora, have long sought to end that country’s culture of impunity through focused pressure on human rights violators. The Magnitsky sanctions proposed in Canada’s Senate provide an opportunity to advance that admirable goal. In solidarity with the tens of thousands of human rights victims in Iran, Canada’s senators should vote for the motion. And pressure their colleagues in the House of Commons to adopt it into law. Kaveh Shahrooz is a lawyer and a human rights activist. He is a former senior policy adviser on human rights to Global Affairs Canada and is a senior fellow at the Macdonald-Laurier Institute’s Centre for Advancing Canada’s Interests Abroad.